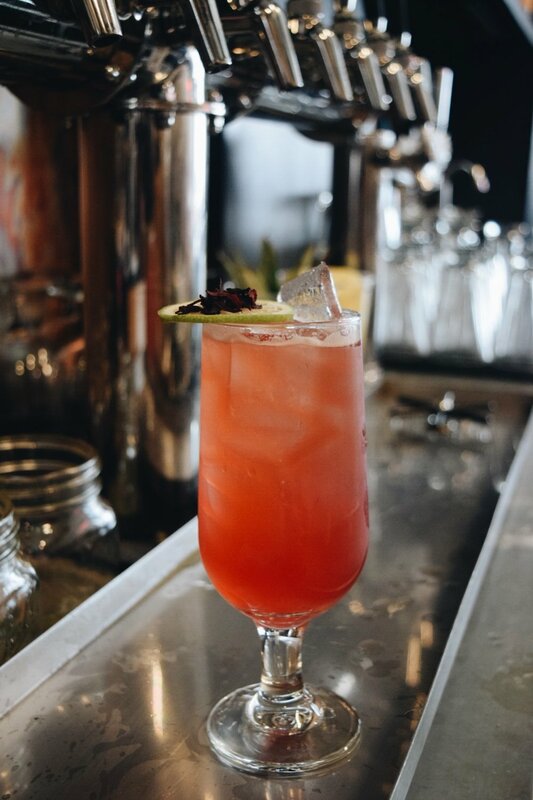 It's officially spring, so that means Dock Street Cannery + Tasting Lounge is getting a whole new lineup of Spring cocktails, all beautifully handcrafted, garnished with fresh fruits, herbs, and house-made syrups, and chock full of local spirits. Included on the new cocktail menu is a hard-to-find (and even harder to make well, although Dock Street bartender Danny Godinez managed to do just that) milk cocktail. Greensgrow will be in-house from 5:30-7:30pm for a plant sale, so you can surround yourself in Springtime and take some home, too - even if the weather right now says otherwise. Fairmont Trails “Let’s Frolic,” made with Dad’s Hat Rye, Lemon Juice, Apricot IPA, Mint , topped with Citrus Reticulata IPA.